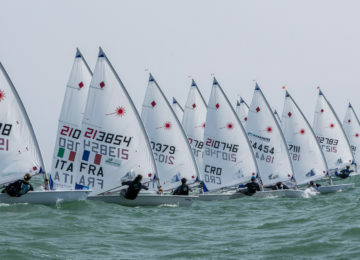 A new round of the 2018 Laser Europa Cup concluded yesterday in Dziwnów, Poland. 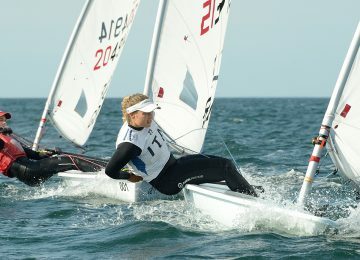 More than 100 sailors from 12 countries could enjoy of sailing during this three days. 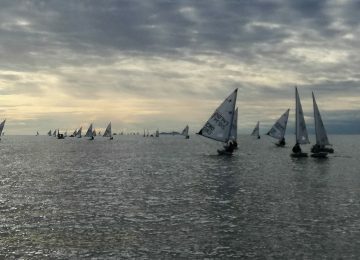 Conditions varied from strong wind and big waves on Saturday, first day of competition, changing to medium winds on Sunday and finally lighter on the last day of races. This way sailors competed in all sailing conditions, enjoying of a really challenging championship. 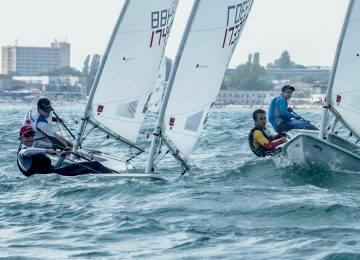 After 8 races per fleet, Belarus Ivan Mshenski BLR was the overall and U16 champion in the Laser 4.7 class. Ivan concluded championship with 14 points, followed by Przemyslaw Machowski POL with 18. Laura Szulc POL was first among women and 9th overall. 44 sailors participated of this fleet. 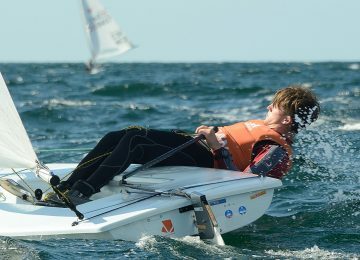 On the Laser Radial class and among 52 sailors competing, the overall winner and U19 champion was Lukasz Machowski POL with 15 points, followed by women champion Anna Brzozowska POL with 26. Finally the Laser Standard competition had Kuba Rodziewicz POL as the overall winner with 15 points, followed by Ivan Zhukalin UKR with 17. Piotr Ostrowski POL was first U19 and 4th overall with 30 units. By Agustín Argüelles – EurILCA | Source: Krzysztof Zawiliński | Photos: Artur & Joanna Burdziej. The 2017 Europa Cup Trophy have completed the third day of races in Hvar, Croatia, this time with light winds.